Articles > Apollo or Dionysius? German philosopher Friederich Nietzsche once wrote of the evident contrast between Classical and Romantic music identifying the former as being impersonated by Apollo, God of light and measure, and the latter by Dionysius, God of intoxication and passion. This profound dramatization of the musical styles is the fundamental reasoning explaining the diversified historical trends of human nature. We observe these two types of behavior, clearly distinct in music, in all aspects of human characters, heightened in the art representations, literature accomplishments and historical outcomes. The longing for measure, order, moderation and symmetry is a definite factor of interest in human nature, fully reflected in classical music. These aspects are paralleled to human accomplishments in the arts with the meticulous order of Greek temples such as the Pantheon. The numerical ratios and definite relationships are successful in establishing in music and art, delightful pleasure to the ear and eye, accordingly. 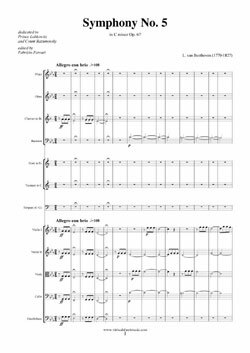 Just like Haydn’s delightful 22nd Symphony leads to harmonious philosophical order, the Augustan age in history is the paragon of this human urge to establish symmetrical discipline. In literature, Shakespeare’s rigid sonnet structure, limited by definite number of stanzas and syllables, and strict rhyme scheme is as beautiful and effective as Mozart’s perfect sonatas. Classical music’s feature of being scrupulously regulated directly contrasts the tempestuous manifestation of passion in Romantic music. The display of pure human emotions is just as powerful of a characteristic as the one highlighted in classical music. This boundless expression is reflected in literature’s shift of mood when the I pronoun was firstly used in poems, such as in Keat’s lyricism: “When I have fears that I may cease to be/Before my pen has glean’d my teeming brain”, or in Whitman’s poetry: “When I heard the learn’d astronomer; /When the proofs, the figures, were ranged in columns before me”. Shelley, Poe, Keats and Whitman are examples of this direct manifestation of passion in literature, which was as important as the subsequent examples in history. The French revolution’s impact on society and individuals was as powerful and dramatic as Beethoven’s 5th Symphony’s opening. The emphasis on individuals, and on Liberté, Egalité, Fraternité directly reflects Romantic’s music characteristics, also paralleled to the manner in which Leonardo revolutionizes the concept of art in the high Renaissance period. His new ideas drastically reshape the world of art, giving priority to the individual’s emotions, as warmly as Beethoven’s fourth piano concerto does. 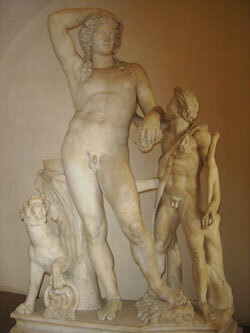 Did Apollo’s perfection and symmetry overwhelm Dionysius’ passionate ardor in the Olympus? Was the inebriating fulfilling of earthly instincts preferred over thoughtful order? Just how classical and romantic music beautifully differ, the above questions remain formally unanswered. Music, art, history and literature tastes are unique, hence no generalization is sought. Human spirit is inextricably bound to music, and its traits are clearly mirrored in music’s – or other arts’ - characteristics. To the careful listener the most beautiful music that one which better expresses the eternal conflict between Apollo and Dionysius – which is the foundation of life itself.